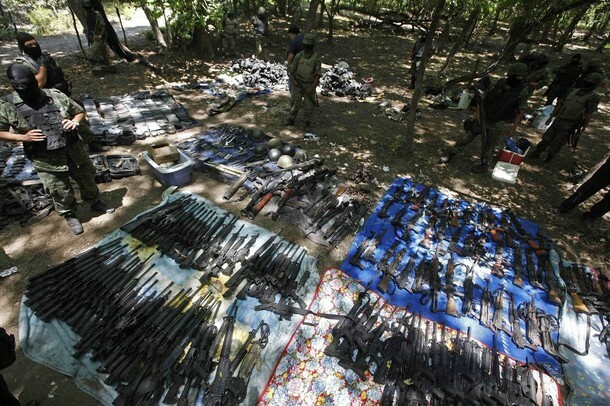 Weapons Arsenal Found Near the Arizona Border-Fiction! - Truth or Fiction? 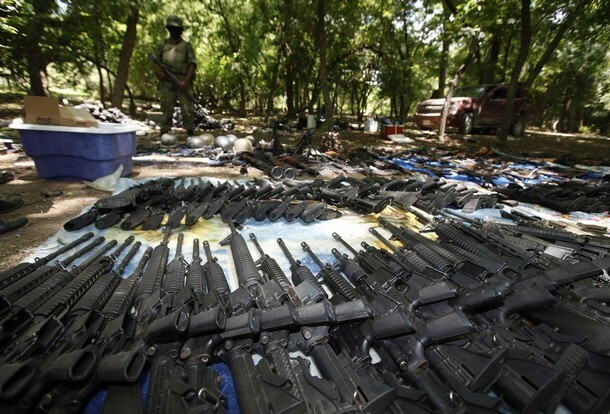 A forwarded email that includes graphic photos of a weapons stash claimed to have been found along of the US border near Arizona. 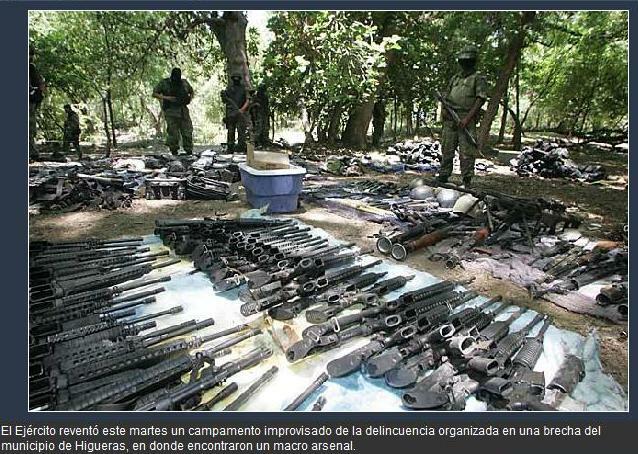 These are photos of a real raid but the location was nowhere in the proximity of Arizona. 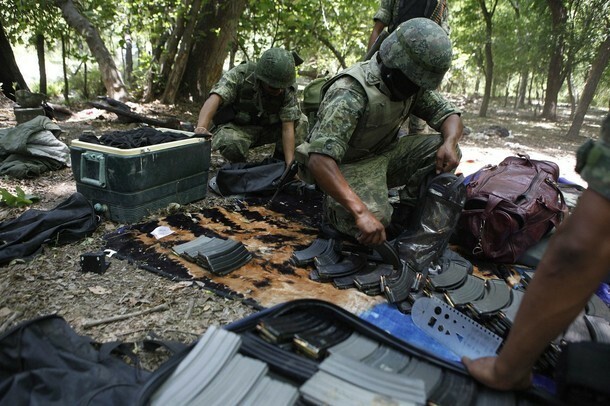 The raid was conducted on May 11, 2010 by elements of the Mexican Army after the discovery of an organized crime drug smuggling camp 56 KM (34.8 Miles) south of the city of Monterey, Nuevo Leon in Mexico. Monterey is a large industrial city approximately 140 miles South of Laredo, Texas, the closest U.S. border town. That is about 840 miles east of Arizona. 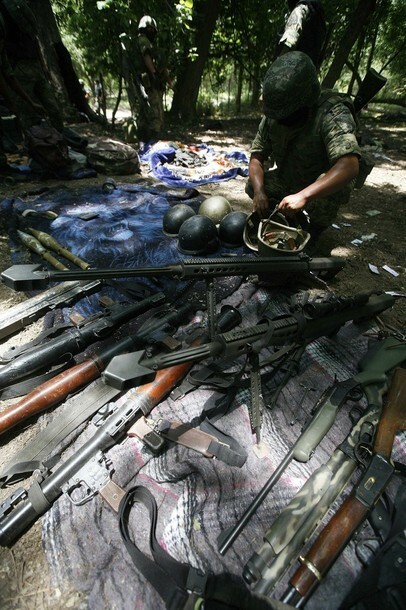 According to a May 11, 2010 article by the Mexican new agency, Acencia Reforma, a firefight broke out with the drug smugglers as the Mexican Army raided their camp about 550 yards from a highway. 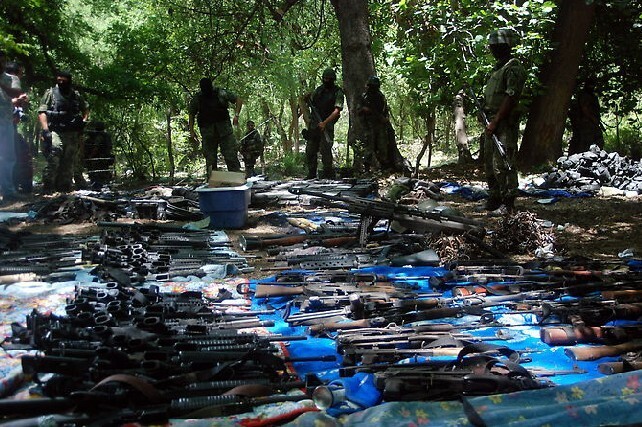 Twenty-five drug runners escaped into the forest abandoning everything. 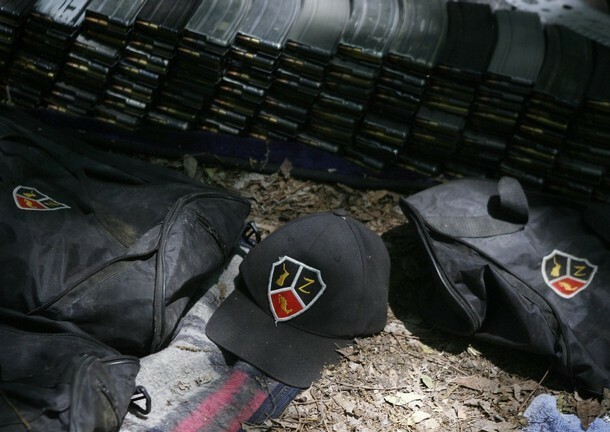 The raid resulted in the killing of one drug runner and military sources estimated that they found more than 130 rifles, grenade launchers, machine guns, a rocket launcher, a box of grenades and hundreds of cartridges, as well as several vehicles. Exactly where did you hear about it in OUR media ????? 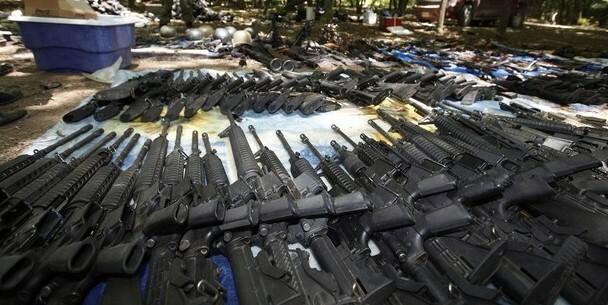 Thank God for the border patrol that this did not come over the border. 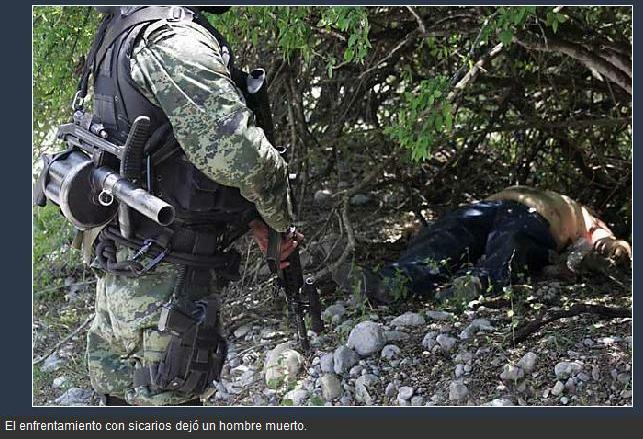 There is one “graphic picture” but it tells the story Let’s quit trying to decide who is violating our federal laws “to make a better life” – and ENFORCE the laws across the board on EVERYONE violating them – Nothing discriminatory about that amigos !!!!!!! Email Alleged to be from Microsoft That Offers Software Update"-VIRUS! Yahoo Wants You to Update Your Account Information-Phishing!